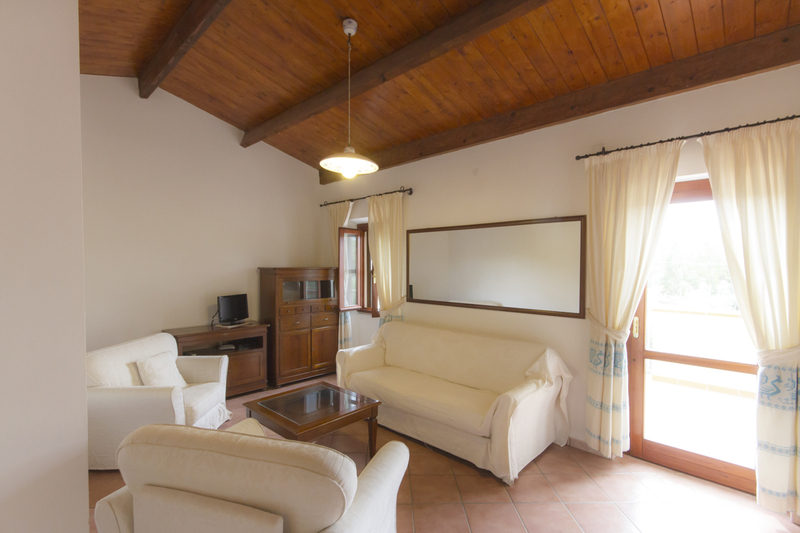 Villa Pasquale is a spacious yet cosy holiday home combining a traditional farmhouse feel with all the comforts of a luxury villa. 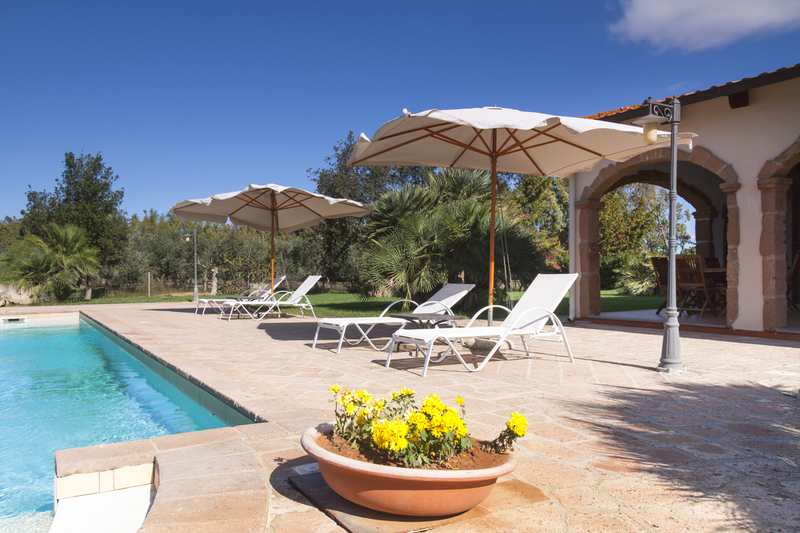 Located on the Coral Riviera of Alghero, on the northwest coast of Sardinia, the villa is set in a verdant and tranquil spot nestled among thirty acres of olive groves and rolling country views. If a peaceful and low-key country retreat is what you are after, situated just minutes from the sea, then look no further! 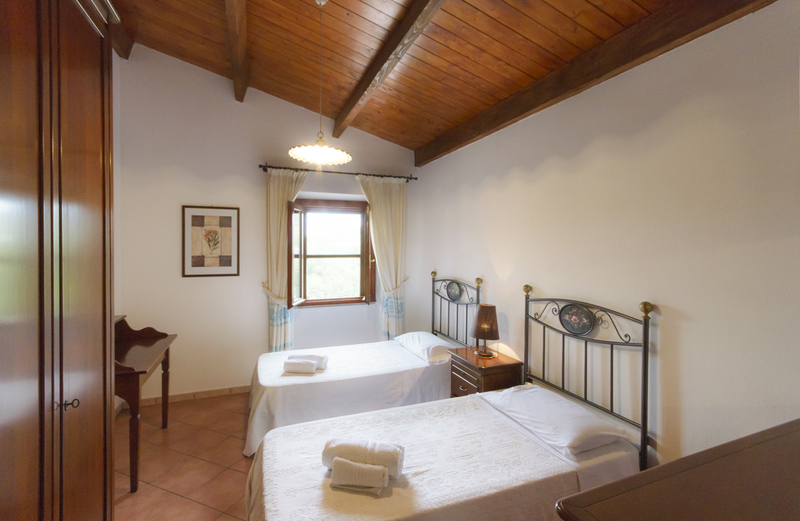 Villa Pasquale remains faithful to an original Sardinian farmhouse in style, unpretentious and sympathetically, yet also elegantly, restored - its rustic elements are finished with the greatest care. A private entrance set within traditional stone walls leads into impressive lawns and tropical shrubbery to offer the most serene get-away. 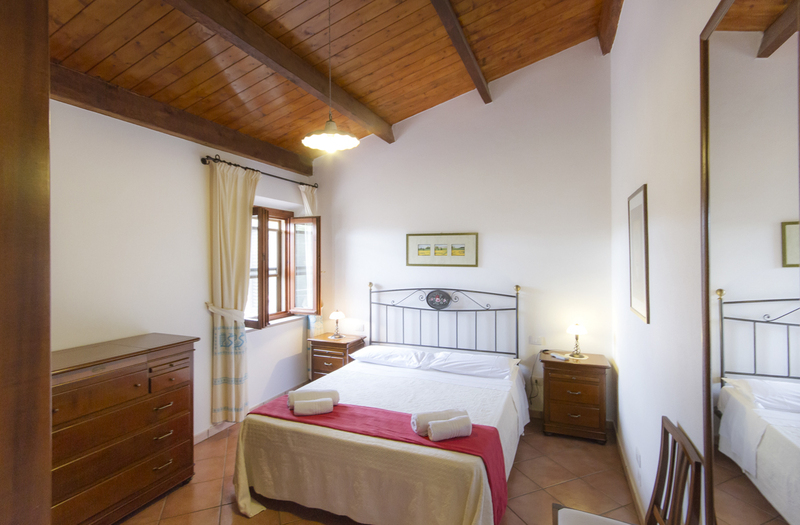 While providing the utmost in secluded charm, the villa quietly provides every convenience imaginable within the wider holiday farmhouses complex, only a few minutes walk away. 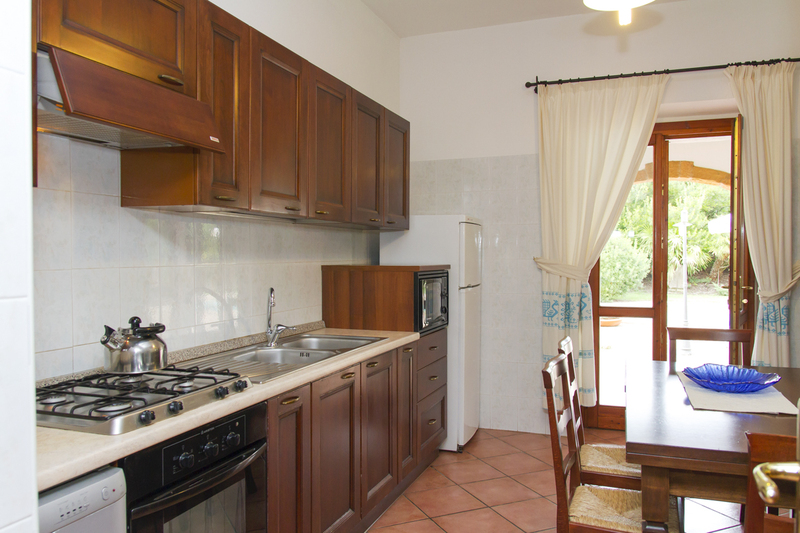 Whether it be fresh bread and pastries from the grocery store, trekking or excursions within, or pizza takeaways, the beauty of this home is that it provides both absolute serenities while catering to the whole family’s needs. Following the private driveway into the expansive grounds, guests will take in the subtly restored farmhouse, architecturally finished to a perfect blend of old and new. The wooden shutters and terracotta roofs in a nod to the traditional, while the large cloistered terrace offers a sumptuous, stylish taste of luxury. Arranged over two floors, the open plan kitchen is fully fitted with all appliances, while the white-washed interior and exposed timber sloping ceilings retain that original feel. 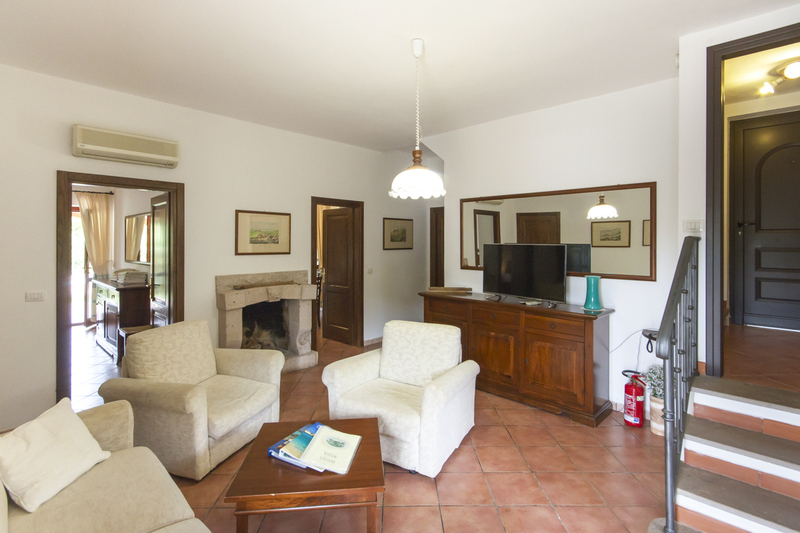 The entire villa feels both cosy yet finessed: the comfortable lounge area has the country charm of an open fireplace; the flagstone floors are cooling in the heat of the day. Ample seating is provided in the dining area; this home lends itself to a family group. 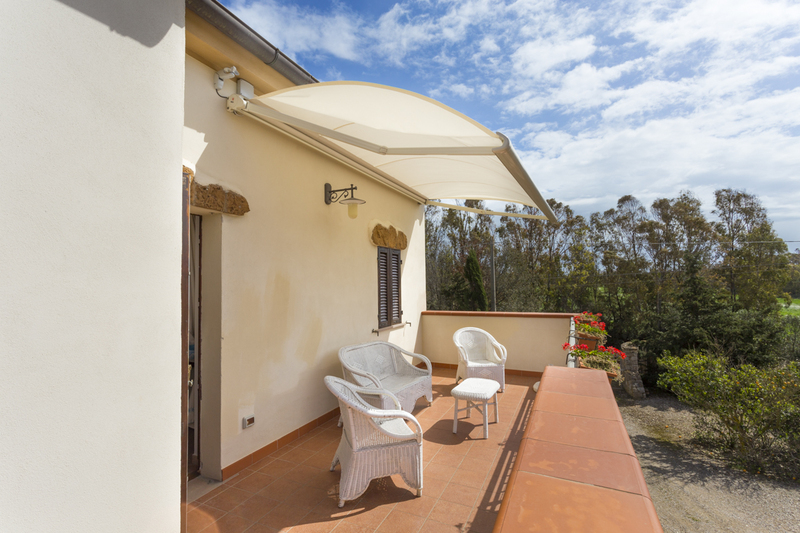 Outdoor meals can be taken under the pretty, cloistered terrace. The poolside area invites lounging! 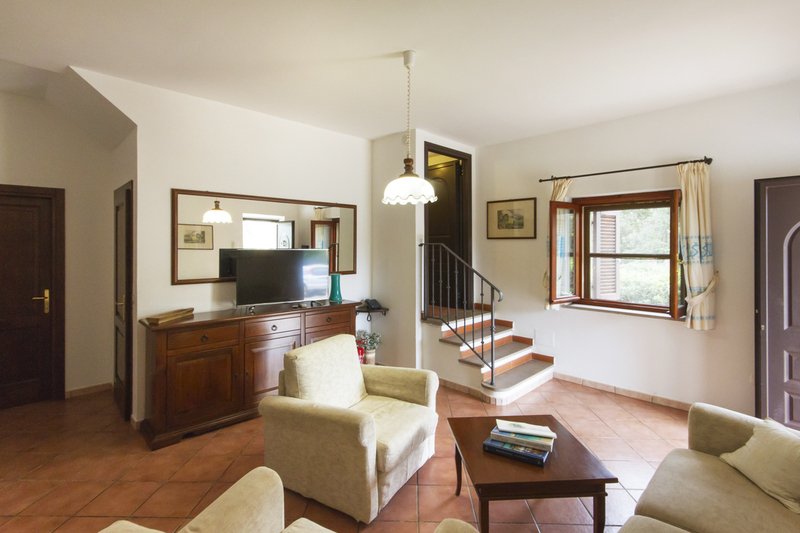 In keeping with the polished, rustic style of the villa, the pool is beautiful, yet unimposing with its gentle, rounded entry via stone steps.The living spaces are air-conditioned throughout, finished with elegantly draped curtains while not compromising on any of the modern touches: WiFi and satellite TV. There are two lounge areas, neutrally designed to provide calm down-time. 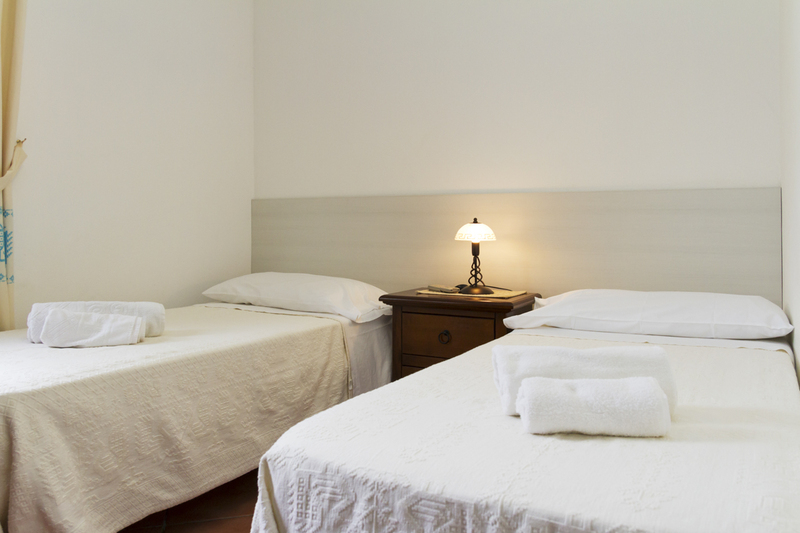 The first floor offers four bedrooms, which have the flexibility to be used as either doubles or twin beds. Gorgeous crisp linen and smart yet straightforward decor offer such a tranquil sleeping space, cool and serene with shutters for those all-important siestas and beautiful views across acres of Mediterranean pastures. 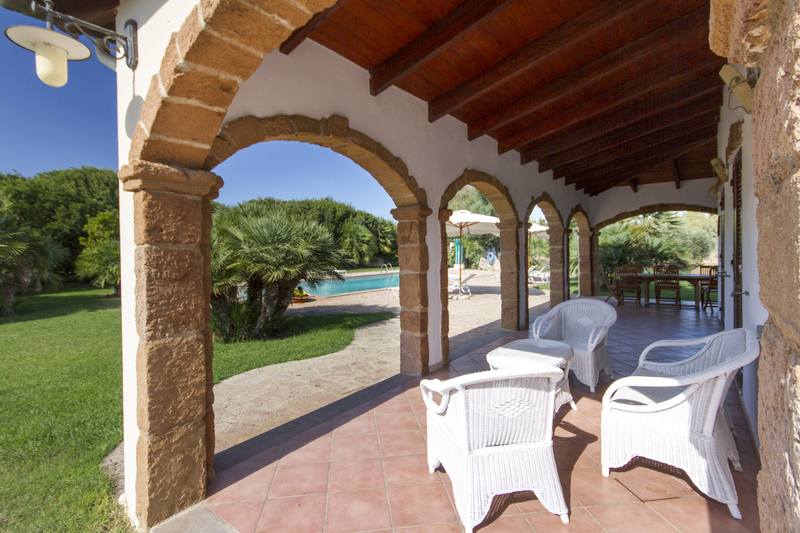 The Monte Sixeri Estate offers acres of pastoral tranquillity while being moments from the sea and all the amenities of Alghero. Established a century ago, the estate has been designed very much in keeping with the tone of the local land, agriculture and gastronomic traditions. Alghero is a pretty, medieval city known for its cobblestoned centre; surrounded by ancient walls and coloured by its Catalan Gothic architecture. Whether it be walking, taking in local beauty spots, trekking, climbing or water sports, outdoor activity enthusiasts will not be short of options. Known for the cuisine, the culinary offerings of Alghero are simply brimming with local flavours, wild herbs, the renowned San Giuliano olive oil, grilled fish and home-made jams, foodies will be in paradise. 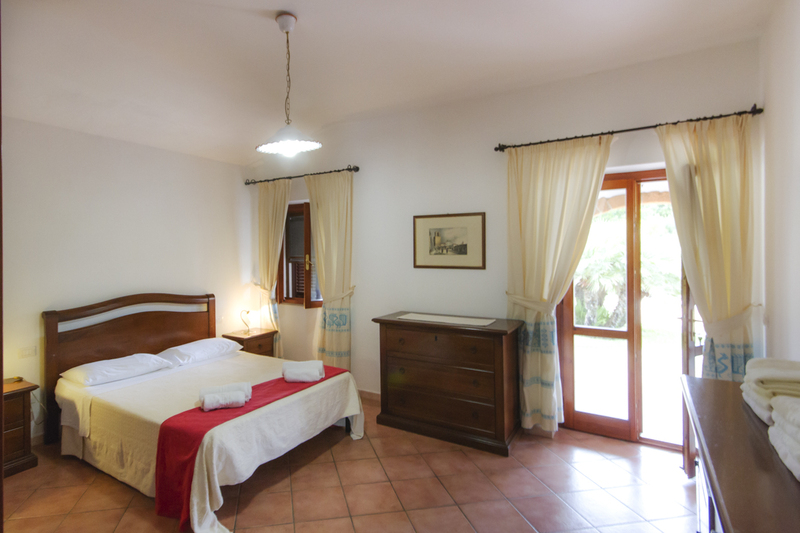 Located just ten kilometres from the airport (Alghero airport), and thirty minutes from the nearest port (Porto Torres), this little piece of unspoiled Sardinian heaven is very accessible. Downtown Alghero can feel like a mix of Spanish, Catalonian and Moroccan influences; colourful facades and a certain downbeat elegance make it such a natural and local feeling place. Venturing further afield, this stretch of northwestern Sardinian coastline offers five kilometres of white, sandy beaches stretching from the port and marina to Fertile and many lovely coves on the way to Porto Conte. Worth visiting also for a day trip is the Medieval town of Bosa; a charming town while Bosa Marina is a quaint, colourful little fishing port. En route you will pass La Speranza beach and some wild, rugged coast paths. Likewise, Badesi, some eighty kilometres away is a bustling and vibrant market town. Le Bombarde beach is surrounded by a Mediterranean scrub to open out onto fine, white sand and dazzling, clear turquoise water; just ten kilometres from Alghero, parking is free, and sun loungers, parasols and pedal boats can be hired. Lazzaretto beach is named after the small rocky jutting headland that characterises it. Framed by sandstone rocks, it is known for its many little private coves and particularly clear waters. This little corner of Sardinia is seemingly forgotten by time, yet offers such an abundance of nature and local life that visitors will want to return again and again.